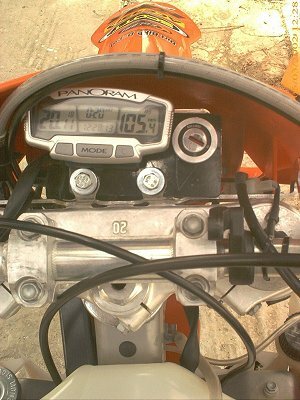 Panoram on the KTM 200 EXC ! Update : March 25, 2002. The Panoram ran out of battery. More details are at the KTM info file. Update: April 23, 2002: The Panoram stopped working, once again. This time, on my way to work, the Panoram started flashing the "lo bat" sign, then it stopped working completely, then it rstarted, all this time i was riding (! ), only this time it had erased itself from all the details. I emailed TrailTech about this, and they suggested I send the unit back to them, for a check up and possibly an upgrade to the new firmware, which now includes incrementing/decrementing the odometer, as well as twin odometers. Sounds interesting, I'm sending my Panoram back home! March 5, 2002. We added a Panoram motorcycle computer, so we got rid of the little plastic one that came with the KTM. I first found the Panoram in an article in Dirt Bike magazine, someme last summer. Then, after a thorough thinking and rethinking (yea, it took me almost a year to... decide! ), and after looking at other alternatives, like the Sigma Sport cycle computer, and the (Sigma, also!) 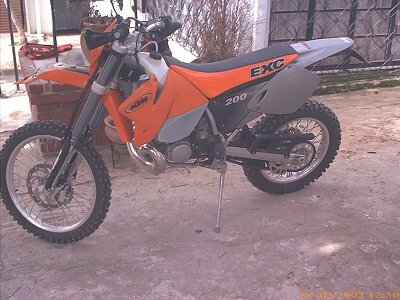 one supplied by KTM on the EXC's, I bought the Panoram. The Sigma are really cheap and robust, it seems, but I was too lazy to fabricate and invent on putting one of them on. Talk about 30 Euros or so. Then, I asked my KTM dealer for the Sigma that comes with the EXC models. He suggested a retail price of around 132 Euros, so I finally ordered the Panoram from Dirt Bike Depot, in England, for a total price of 105 Euros, postage included. The package arrived in 4 days and 3 days later I installed it on the KTM! Comparatively, the KTM/Sigma sport unit is lacking in a few details. 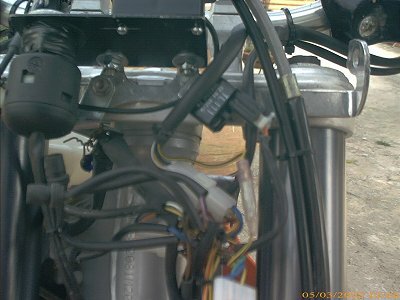 For example, the KTM supplied computer does come with some sort of light, and unique sensor to be fitted below the front brake caliper holder. 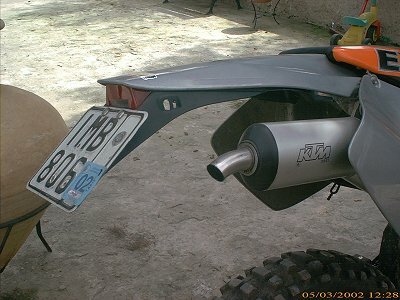 The features however of the Sigma and the KTM computer are lacking big time compared with the Panoram. The Panoram has the usual functions of trip and total odometer, internal lighting, avg, max and current speed, accumulated riding time, trip riding time, stopwatch, and two reminders, one for oil change, one for the next service. 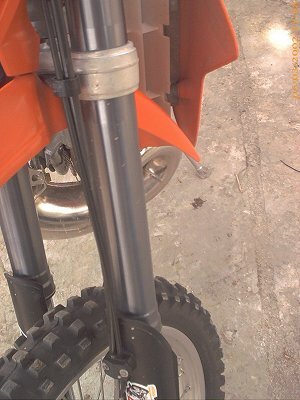 We also added the short offroad rear mudguard, along with the smaller light unit. Inevitably we didnt escape some light form of fabricating a proper base for the Panoram itself and the power lock. This is the rider's view. The routing went real nicely, alongside the front brake hose. 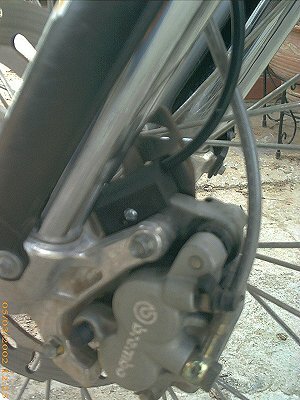 We drilled and tapped a 4mm hole on the brake caliper holder, and we secured the sensor. 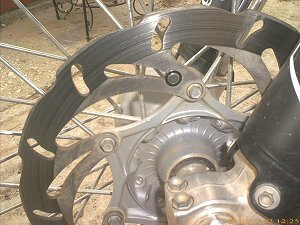 Finally, the Panoram-supplied magnet, slotted into the front rotor hole nicely too!